I have just finished Crowdfunding: A New Media & Society Special Issue, edited by Lucy Bennett, Bertha Chin and Bethan Jones. Let me quickly review what I have learned. While crowdfunding is often conceptualized as the funding of a project by a crowd, one of its primary advantages is that audiences gain an amount of access to the cause, work or individual that they donated to. By conceptualizing Kickstarter as “spime”, defined by Bruce Sterling as a futuristic object that develops through space and time, Paul Booth draws attention to the process of crowdfunding. These platforms are not about creating a product at all, but are about extending our historical relationship with media, texts, and celebrities. Booth discusses successful Kickstarter projects, such as the Veronica Mars movie, but also focuses on those that failed, such as Melissa Joan Hart’s project. While successful projects clearly address their fan base and history with them, less successful ones often estrange the fan base. Melissa Joan Hart, for instance, actively distanced herself from her roles such as Sabrina the Teenage Witch, while her (nostalgic) fans perhaps would have like to have seen this legacy continued. What Booth stresses is that a failed Kickstarter is a product as well. ‘The website for the Kickstarter campaign houses digital information about the project, and the aftermath of its failure is enshrined on websites (and scholarly articles) in perpetuity.’ As someone that deeply interested in discussing fandom as an affective process, rather than through finished practices or objects, I enjoyed this article immensely. When setting up a crowdfunding campaign, each service platform has its own affordances. the product that is offered and the process of backing might differ. Megan Farnel especially focuses on three projects of trans* individuals that were published on different platforms. Medium-specificity is key here, since IndieGoGo, Kickstarter and Youcaring each have unique qualities, cultures and policies. The affective economics of Kickstarter is core to its business model. Matt Hills expands on this in his article by showing how fans benefit from these practices in non-material ways. They receive perks, or “love marks”, and can be at the social front of media production. Privileged backers of the Veronica Mars movie could for instance present during the filming and enjoy proximity to the production of the object. Davidson and Poor likewise argue in this issue that crowdfunding involves “emotional labor” from cultural producers. For instance, it requires direct interaction with the audience itself. As opposed to these examples of television and film, in the crowdfunding of videogames, participation is core, according to Anthony Smith’s article. Continuing the long legacy of players beta-testing games, crowdfunded projects often give fans early access to the videogame in different development stages (the alpha and beta versions). While the actual industry has restricted early access to games more and more, crowdfunding re-establishes the participatory culture of game development and gaming. For backers, crowdfunding can be an intimate process, but that is also true the other way around. Producers may enjoy the dialogue with their audiences, and can choose where to position themselves. Suncem Kocer shows that independent Turkish film makers especially care about the dialogue with their audience, and about the visibility and discussion of taboo topics. In this case crowdfunding functions as a social and political tool that seeks communities of support. The Turkish film makers value their independence and see crowdfunding platforms as opportunities to speak up. For other cultural citizens, Stiver et al. show in this issue, projects may also fund community services. For journalists, crowdfunding offers similar advantages. Andrea Hunter shows how crowdfunding enables independence, but also problematizes journalistic integrity. How do journalists cope with their backers and their expectations, while staying autonomous? Incorporating “point of view” and subjectivity is a way out, but journalists schooled in emotional and political detachment might refute this changing journalistic norm. How can the moral and cultural economy of Kickstarter be depicted? Suzanne Scott focuses on two project: the Veronica Mars movie and Womanthology. Drawing from the paratexts around these projects, she argues that the first has a traditional model that views fans as “storybuyers” who can finance projects, but not directly influence them. While the director of the movie kept fandom in mind, and even included fan service, there is no direct participation and fan involvement was clearly kept at bay. Womanthology (“Huge Comic Anthology created entirely by over 140 women”) differs from this project in that it involves fans and takes an active stand against the comic industry. Despite debates about representation and the sexism in comic industry itself, the industry remains far from inclusive. This project includes professionals with different levels of experience, including budding artists, thereby involving the fans themselves. As far as transformation goes, Matt Hills argues that there might be something different at hand. While some projects allow for direct textual poaching and fan involvement, many of them also rely on a different kind of poaching, that is more imaginative rather than resistant. Fans speculate about a show and its production, seek intimacy and rare experiences. They relate to Kickstarter in a very specific way, that is perhaps not always participatory, but at the very least guided by their fan desire. While Kickstarter can be understood as capitalizing on fandom, the reality is far more nuanced. Fans pay for unique experiences, products and intimacy. But should transformation always be the goal? Megan Farnel discusses crowdfunding of gender/sexual reassignment (G/SRS). ‘The strength of crowdfunding,’ she writes, ’is its potential to disrupt the affective conditions necessary for transphobia and violence towards trans* persons’ (216). These practices define the trans* body as art and/or commodity, and are also shaped by the political and medical policies around G/SRS. She scrutinizes the practice as well. It can be problematic that subjects turn to backers for medical help, thereby maintaining a system that is already flawed by placing the responsibility over medical access and expenses on the shoulders of the trans* population. The crowd is key here, to create awareness of trans* issues and intervene in politics. Is it really transformative though? The sad truth is that trans* individuals have no one else to turn to. This issue is a timely intervention and provides many insights in a new media phenomenon. Since crowdfunding platforms are actively based on a longer history of funding, charity and patrons of the arts, it surprised me how few studies I could find on the topic. When I worked at Utrecht University (New Media & Digital Culture), this was one of the topics that students were often eager to write their B.A. or M.A. thesis about. A great topic, if you ask me, because more insights in crowdfunding are not just a scholarly theme, but of great interest to the creative industries themselves. 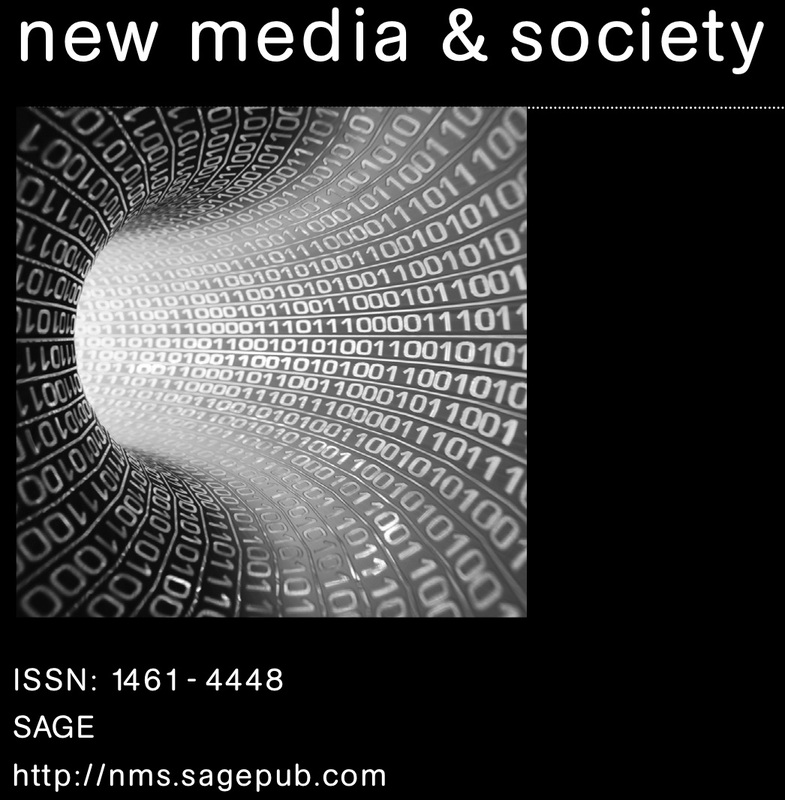 For courses on new media, and for supervising individual projects, this issue can be of use. As a scholar or professional, you will want to pick up these articles too. What I like most about the issue is that it doesn’t limit itself to the creative industries, but clearly shows how these models influence the ethics, politics and finances of medicine and journalism. Crowdfunding allows us to be part of a process or cause that we have supported. It creates a more intimate relation between professionals and consumers. Even if it is not always participatory, it at least gives a sense of participation. In a society that is increasingly technopolitical and industrial, consumers can become reacquainted with objects and their stories.